Illustrated with over a hundred vistas, town maps and plans, and holy sites in words and pictures, this lavish guide to Jesus in the Holy Land follows the course of the life of Jesus. The time of Jesus is explored through the land, its rulers and its peoples. Jesus’ ministry begins with the arrest of John the Baptist, which precedes the ministry near Lake Tiberias, at Capernaum, and the excursions to Tyre, Sidon, Caesarea Philippi and the Decapolis. His journey from Jericho to Jerusalem, his teachings in the Holy City, and the scenes of the Passover, Passion, and Resurrection are recounted here in detail. 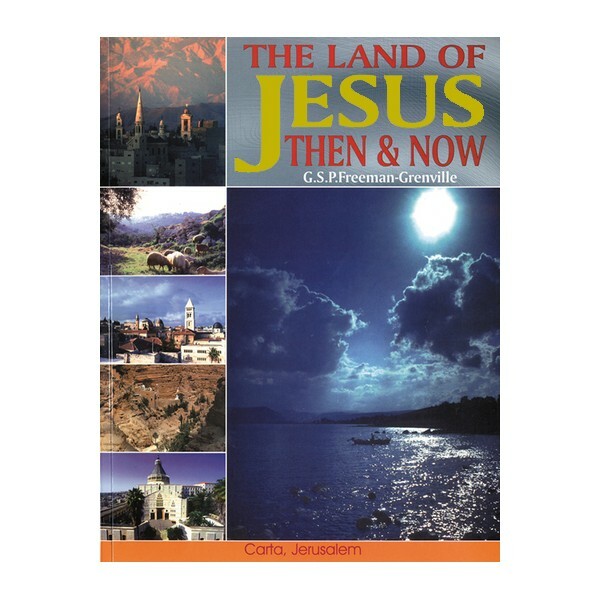 Nearly Everything You Wanted to Know about "The Land of Jesus: Then and Now" you can find here! Which were the only two cities visited by Jesus on the coast of the Holy Land? Which miracle occurred at Cana in the Galilee?